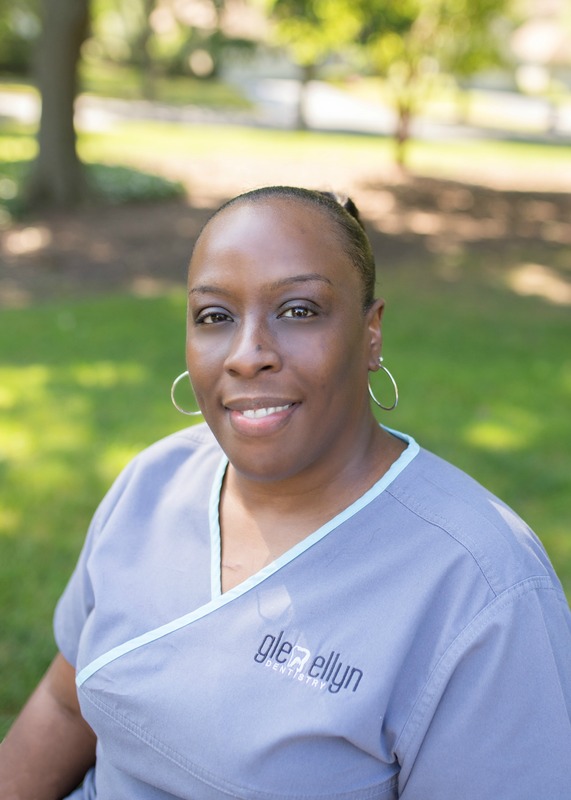 The team at Glen Ellyn Dentistry takes great pride in their knowledge and abilities. They are committed to state-of-the-art technology and strive to provide you with the highest quality of care possible. You will notice from the moment you contact their office, their dedication to every detail. They treat every patient like family and make sure each visit is a fun experience. Mary is our Office Coordinator. 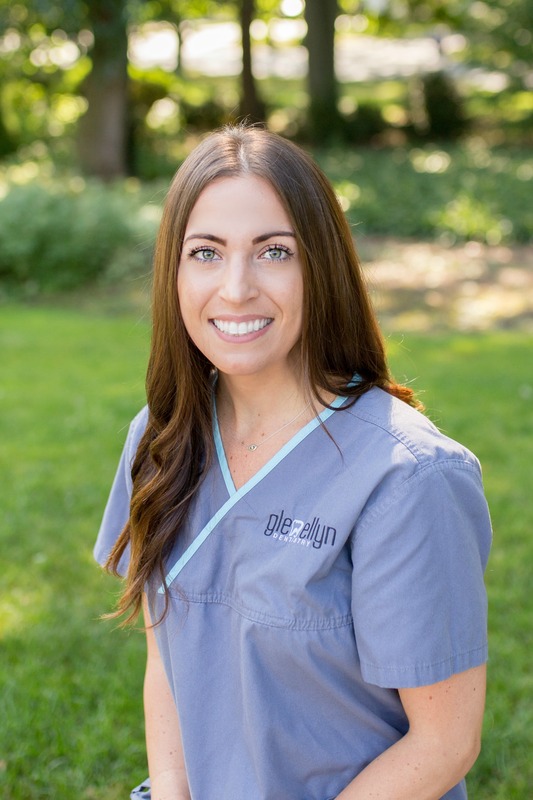 She has been in the dental field for over 12 years and with Glen Ellyn Dentistry since 2012. She started at Glen Ellyn Dentistry as Dr. Petrelli's assistant. She has a wealth of knowledge of both the clinical and financial aspects of dentistry. She would be happy to answer any question you have regarding your visit or your insurance. She loves the dental field and is willing to go that extra mile to make our patients feel welcome and informed. She is certified in ZOOM in-office teeth whitening, coronal polishing and pit & fissure sealants. She was born and raised in Glen Ellyn and is an avid Chicago Blackhawks fan. She is married to her high school sweetheart, Jerry in 2014. They welcomed their first child, Samuel in January 2016. Amanda is our Treatment Coordinator. She has been in dentistry for over 12 years and joined our practice in 2015. She loves working with patients to help them understand their treatment and dental benefits. She is such a great addition to our our team. She is very friendly and outgoing and welcomes every patient with a big smile. She loves music, especially going to live concerts. She also enjoys traveling and exploring new towns. She grew up in Oak Lawn and moved to the western suburbs a couple years ago. She loves animals, especially her cat Bella. On the weekends she enjoys hanging out with her friends and family. 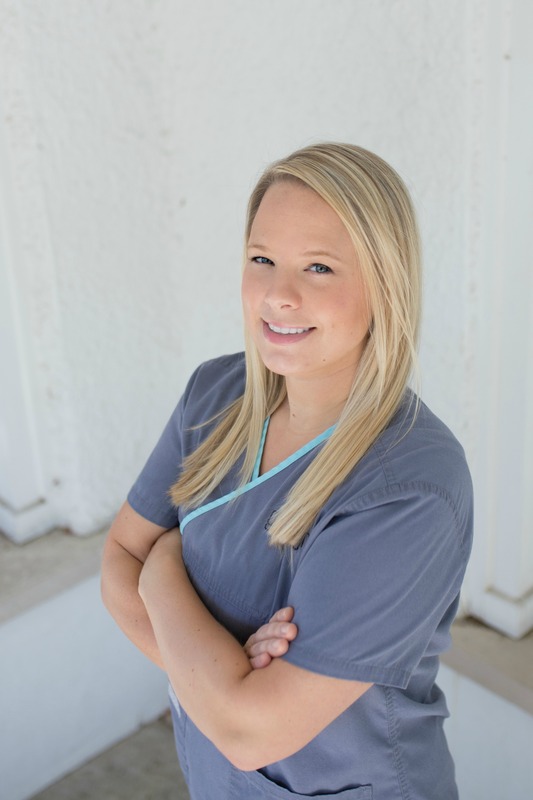 Candace is one of our registered Dental Hygienists. 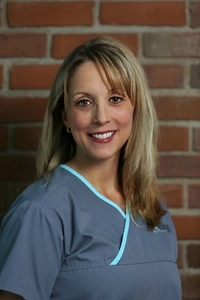 She has been in the dental field for over 11 years and has been a hygienist for over 10 years. She enjoys attending continuing education classes in order to provide our patients with the latest information and techniques to help maintain their healthy smile. She is certified in periodontal laser therapy and local anesthetic. Her energetic and caring personality will make your appointment easy and fun. She was born and raised in St. Louis and is a diehard Cardinals baseball fan. She loves dogs, especially her Boston Terrier, Penny. Candace and her husband Austin have been together since their first year of college. They welcomed their daughter Emrey in February 2016 and are expecting a baby boy in September 2018. 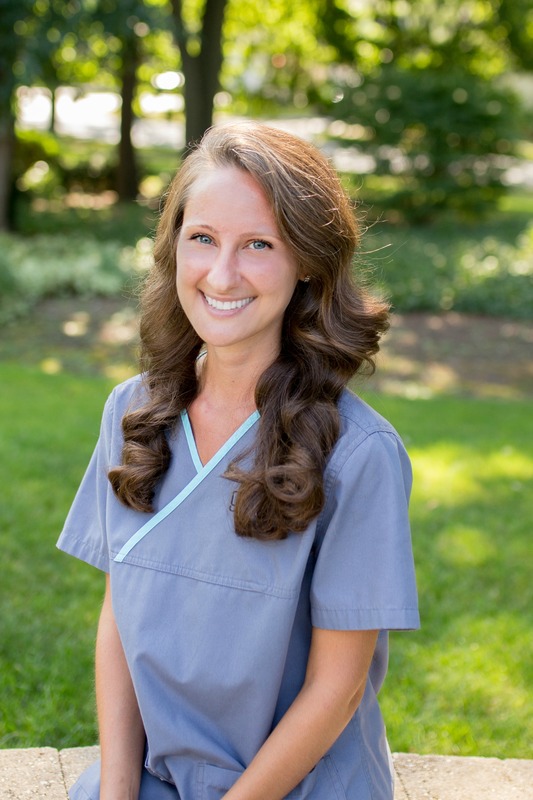 Kelly is one of our registered Dental Hygienists. She grew up in Wheaton and loves this area so much that she recently bought her first house not too far away. She graduated from Rock Valley College and has been in the dental field for 6 years. She loves learning about the newest Dental technologies. She is certified in local anesthetic. Her sweet and understanding personality will put even the most anxious patients at ease. In her free time she likes camping, cooking and going to her family's cabin in Michigan. She loves being with her friends and family, especially her 4 nieces and 2 nephews. 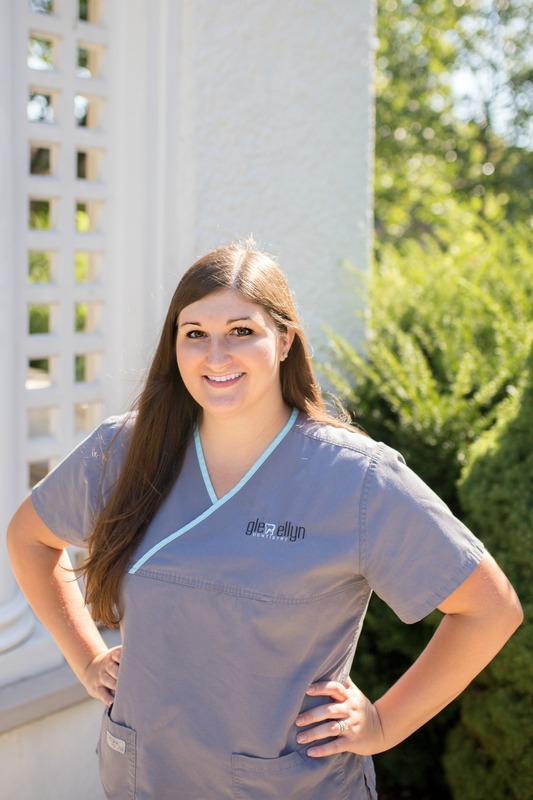 Brittany is one of our Registered Dental Hygienists. She has been in dentistry for over 7 years. She was Dr. Petrelli's dental assistant and and loved dentistry so much that she left to attend Fox College to become a Dental Hygienist. We are thrilled she returned to our office as part of our Hygiene team. She really enjoys working with kids and helping educate patients on ways to improve their oral hygiene. Her compassionate and bubbly personality will help make your appointment quick and easy. She loves animals, especially her 2 dogs Frosty and Baby and her cat Oliver. When she's not working she enjoys spending time with her family and friends. Tasha is one of our Head Dental Assistants. She graduated from Everest's Dental Assistant program in 2009. She enjoys taking continuing education courses and is certified in coronal polishing and pit & fissure sealants. She loves to laugh and treats everyone like they are her best friend. You can't help but smile and feel comfortable when you're around her. She loves treating patients of all ages but she has a special place in her heart for our older geriatric patients. She was born to shop and enjoys browsing stores to find that perfect item. In her free time you will find her cheering on the sidelines at her sons football games or spending time with her parents. 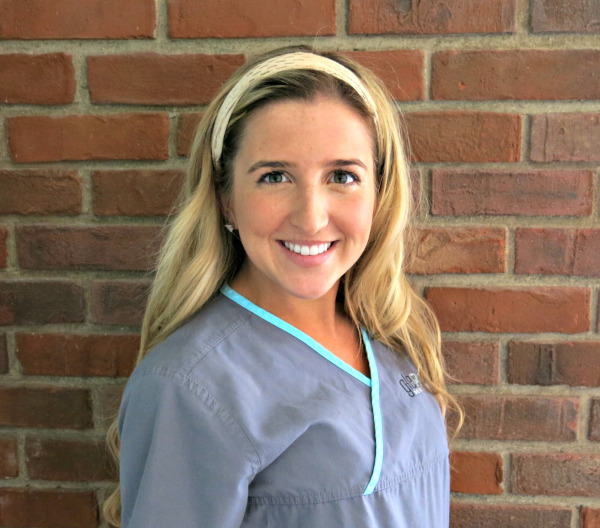 Ashley P. is one of our Head Dental Assistants. She received her dental assisting certificate over 11 years ago. 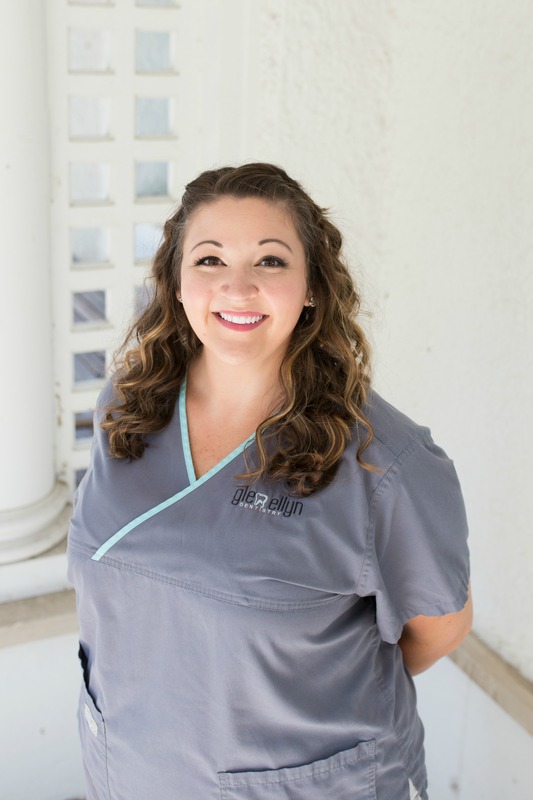 After working at both endodontic and oral surgery offices, she made the switch to a general dental office and hasn’t looked back! She enjoys taking continuing education courses and is certified in coronal polishing and pit & fissure sealants. She loves getting to know each and every patient to help ensure their appointment goes as smoothly as possible. She is always smiling and positive and is one of the sweetest people you’ll ever meet. She loves her animals, especially her Pomeranian, ‘Lilman and her cat, Princess Poopsie. In her free time, you’ll find her outside, soaking up the sunshine with her 2 nieces. Jenni is one of our Dental Assistants. She has over 20 years of experience in the dental field. She is certified in coronal polishing and pit & fissure sealants. Her outgoing and compassionate personality will make your visit a comfortable and fun experience. She enjoys treating patients of all ages. Jenni was born and raised in St. Louis and moved here with her husband, Dan and their cats, Frisco & Diego a few years ago. In her free time, she loves reading, spending time with family and traveling.